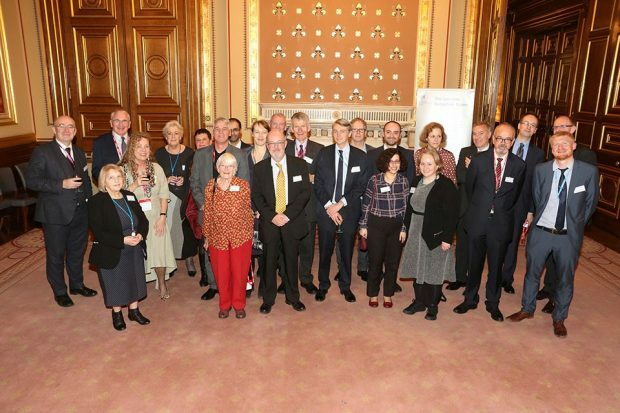 Staff past and present: Current FCO Chief Historian, Patrick Salmon (yellow tie) standing next to Mary Ede. 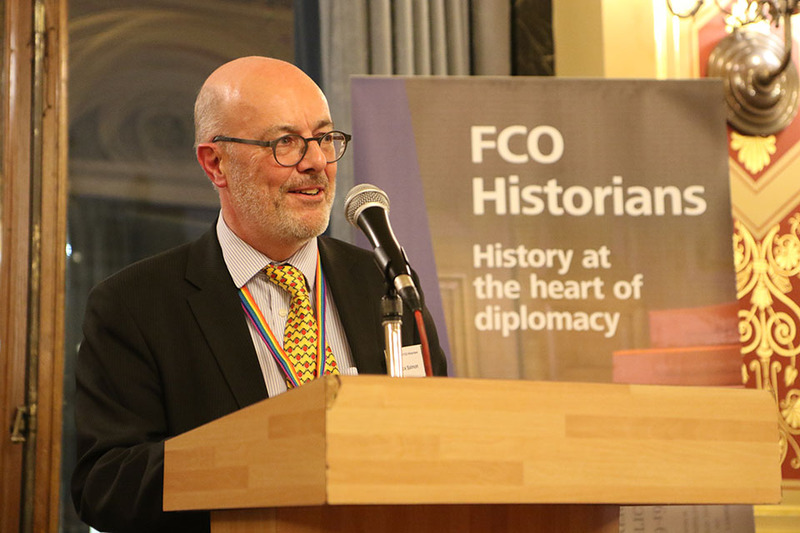 On 15 November, Foreign & Commonwealth Office (FCO) Historians gathered in the Locarno Suite of the Foreign Office to mark our centenary. Joining us were former members of staff, the oldest of whom was Mary Ede who began work as a research assistant in 1951. Also present was Gill Bennett, who had started her career as a research assistant in 1972 and went on to become Chief Historian (1995 to 2005). 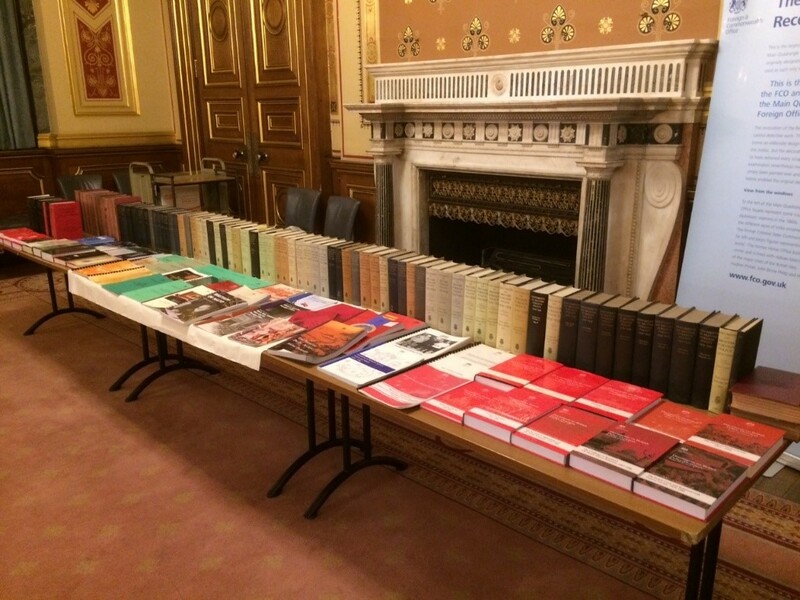 The full story of how the Foreign Office has used and promoted history, the people who worked for the historical team and the controversies they dealt with, is told in a new publication: History at the Heart of Diplomacy: Historians in the Foreign Office, 1918-2018. In March 1918, the then Permanent Under-Secretary Sir Charles Hardinge established a Historical Section, in an attempt to restore prestige to a Foreign Office whose standing had been damaged by the First World War. Headed by the academic George Prothero, its task was to produce briefing for use at the post-war peace conference. At the same time, the Foreign Office established a Political Intelligence Department (PID) with Professor James Headlam-Morley as its deputy. Together they produced 174 studies bound in 26 ‘peace handbooks’ on subjects ranging from Zionism to Easter Island, and from Spitsbergen to the Kiel Canal. Members of the Historical Section also attended the Paris Peace Conference in 1919. The Section closed in November 1920 due to post-war economies. 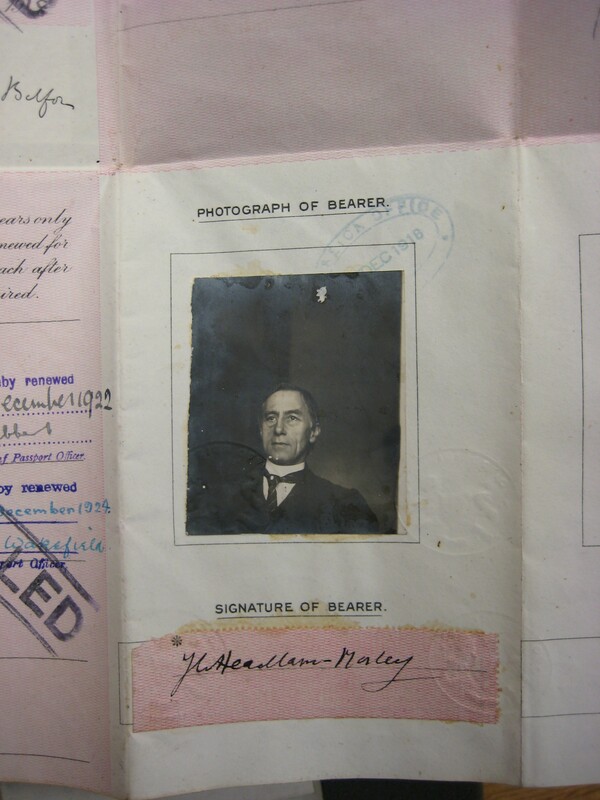 However, their achievements had convinced the Foreign Office that historical knowledge was an important auxiliary to diplomacy and Headlam-Morley stayed on, in a newly created post, as Historical Adviser. The Historical Section began to rebuild when, in 1924, the Historians gained a second role. The first Labour government, headed by Ramsay MacDonald, decided to publish a series of volumes of ‘British Documents on the Origins of the War, 1898-1914.’ The aim was to counter the influence of the famous German series ‘Die Grosse Politik der Europäischen Grossmächte, 1871-1914’, published to refute the Versailles ‘War Guilt’ clause that blamed Germany for starting the First World War. During the Second World War, the Cabinet authorised another series to deal with the inter-war period: ‘Documents on British Foreign Policy, 1919-1939’. A new Historical Section emerged as part of the FO Library and Archives Department. As this series drew to a close the Foreign Secretary, Sir Alec Douglas-Home, announced in 1973 a further series: ‘Documents on British Policy Overseas’ (DBPO), covering the period after 1945. Valued by historians of international relations and their students, these series are a reminder of the important role that Britain has played in the shaping of the modern world. to provide historical information to the FCO on issues that still have contemporary resonance. These issues include the First and Second World Wars, the Holocaust, the UK’s colonial legacy and historical aspects of relations with individual countries (particularly where some historical controversy complicates relations). The job is nothing if not varied. 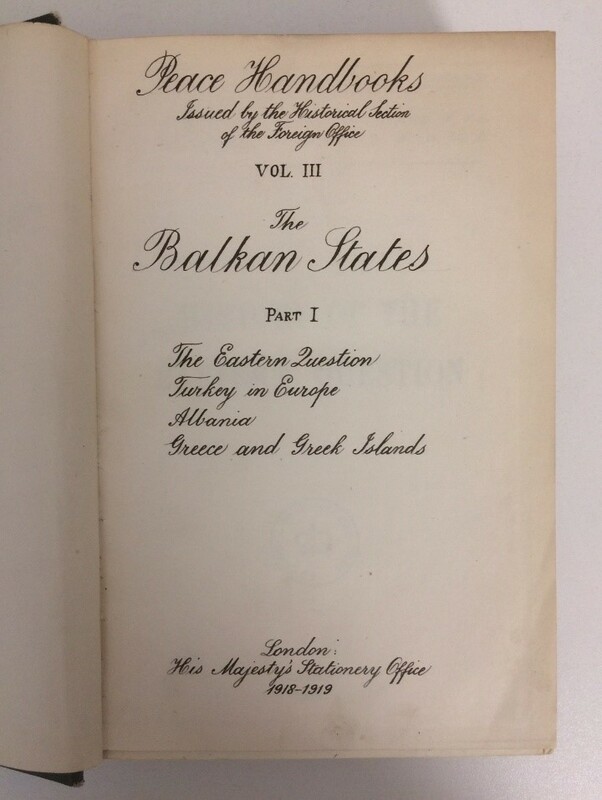 We are currently working on DBPO volumes covering relations with South Africa 1986 to 1990, China 1967 to 1972, and events in Eastern Europe in 1989. The latter will come out in 2019 to coincide with the 30th anniversary of the fall of the Berlin Wall and contains great reporting from British embassies on the unfolding revolutions behind the Iron Curtain. We have recently released a series of social histories dealing with sexuality, gender and race in the Foreign Office. This year we marked 50 years since the formation of the FCO and, coming full circle, we are jointly organising a conference on Peace making after the First World War, 1919-23.